With great thanks to Paws and Prayers, here are some reasons why you might want to consider adopting a mature dog rather than a puppy, or as they put it, why senior dogs rock! 10. Older dogs are housetrained. 9. Older dogs are not teething puppies and won’t chew your shoes. 8. Older dogs can focus well because they are mellow. They learn quickly. 7. Older dogs have learned what “NO” means. 6. Older dogs settle in easily. They know how to get along with others. 5. Older dogs are good at giving love. They are grateful for a second chance. 4. Unlike puppies, older dogs have grown into their shape and personality. 3. 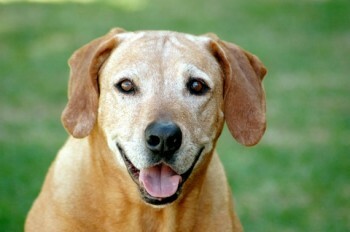 Older dogs are instant companions, ready for hiking, trips and things you like. 2. Older dogs leave you time for yourself as they are not demanding. 1. Older dogs let you get a good night’s sleep. They are used to human schedules. s The “older dog” we adopted will be 13 years old on Thursday, March 10th. We rescued Brittany on May 15, 2007. While she was, initially, understandably anxious and somewhat like “Eeyore” in exhibited personality traits, she quickly became all the apartment buildings residents’ favorite ‘puppy’ which in turn led to her becoming 7-8 lbs overweight. As a “nose” on four legs, she also displayed typical Beagle obsession with tracking rabbits. Fortunately she had NO interests in squirrels whatsoever. Now we are a couple of “old ladies” in retirement–we both sleep a lot but SHE’s the one who SNORES! You bring some good points here regarding older dogs. Most want a puppy, yes, they are VERY cute but they are a lot of work and need much attention. Not that older dogs don’t need attention; puppies need a different kind of attention. Thank you, I’m going to share this with my Twitter followers! “6. Older dogs settle in easily. They know how to get along with others.” This is not necessarily true. Many older dogs need some time to become accustomed to a new environment. Be patient. Sometimes house breaking habits can disappear for a short time. The dog becomes bewildered, sacred, or shy. Introduce your dog slowly to new things. A very good breeder told me to wait a month before drawing any conclusions about a new older pet. I would say to wait even longer. My last older dog came to live with me approximately 8 weeks ago. She did not match the personality and temperament information that I had been given. I questioned if she had really been housebroke. She growled at both people who came into my house and dogs in general. Now she is doing well–and yes, she is housebroken…and I think she is fabulous…just the dog I need–and want. The other 2 older dogs who have lived with me have settled in quickly–at least on the surface….but do be gentle and do not despair if everything does not go smoothly the first day. Saturday Survey: Should it be illegal to chain a dog outside?